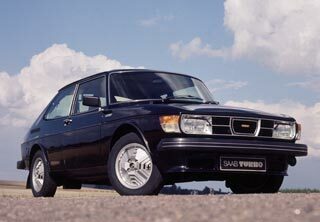 The Saab 99 Turbo made its world debut in September 1977 at the Frankfurt Motor Show. Its place in automotive history assured, as the first mass-production turbocharged car. It was also a major turning point for Saab, sending them off in a new direction. No other manufacturer at the time had anything that could compete. It offered a unique combination of Safety, Space, Performance and Utility all wrapped up in a nicely compact package. The fact that its running costs were also more than acceptable was just icing on the cake. These features were to prove a benchmark for Saab for many years to come. If you are logging in to the site for the first time please read "How to Login" by following the link in the HOME menu. Your Username is just the first 6 digits of your Membership number, including the leading zero. The ? next to the Username and Password fields can be used if you have forgotten your username and/or password.